May.  4, 2017—Vanderbilt University Medical Center (VUMC) is known for world-renowned research, national leadership in training health care professionals and for the most cutting-edge medical care for complex conditions. May. 4, 2017—Luke Gregory, Chief Executive Officer of Monroe Carell Jr. Children’s Hospital at Vanderbilt, will serve as honorary co-chair for the 2017 Iroquois Steeplechase. May. 4, 2017—Laboratory and administrative personnel at Vanderbilt University Medical Center were honored last week for research excellence during the 13th annual Research Staff Awards luncheon at the University Club. May. 4, 2017—Last month, Vanderbilt Clinical Laboratories introduced rapid molecular diagnostic testing to more quickly identify microorganisms that may be causing a patient’s bloodstream infection, along with the organism’s susceptibility to drugs. May. 4, 2017—Male infants are more likely at birth than their female counterparts to be diagnosed with drug withdrawal symptoms, also known as neonatal abstinence syndrome (NAS), and to require treatment, according to a new Vanderbilt study published in Hospital Pediatrics. May. 4, 2017—This year’s Shade Tree Trot, held April 22, and benefit dinner raised a record amount — $76,000. Approximately 550 runners and walkers registered for the ninth annual 5K race on the Vanderbilt campus organized by Vanderbilt University School of Medicine students. May. 4, 2017—Kevin Osteen, Ph.D., Pierre Soupart Professor Obstetrics and Gynecology, and his team at the Women’s Reproductive Health Research Center have developed a three-dimensional organ-on-a-chip cell model that mimics the endometrial lining of the uterus in an effort to test therapeutic interventions for reproductive diseases. May. 4, 2017—Christine Lovly, M.D., Ph.D., assistant professor of Medicine and Cancer Biology at Vanderbilt, has been elected to The American Society for Clinical Investigation (ASCI). May. 4, 2017—The Association of American Physicians (AAP) is an honorary medical society founded in 1885 by Sir William Osler and six other physicians for “the advancement of scientific and practical medicine.” This year, 60 additional physician scientists were elected to the association, including three Vanderbilt faculty members. May. 4, 2017—Recording artist Reba McEntire made a special appearance at Monroe Carell Jr. Children’s Hospital at Vanderbilt on April 27 to visit with patients and families.